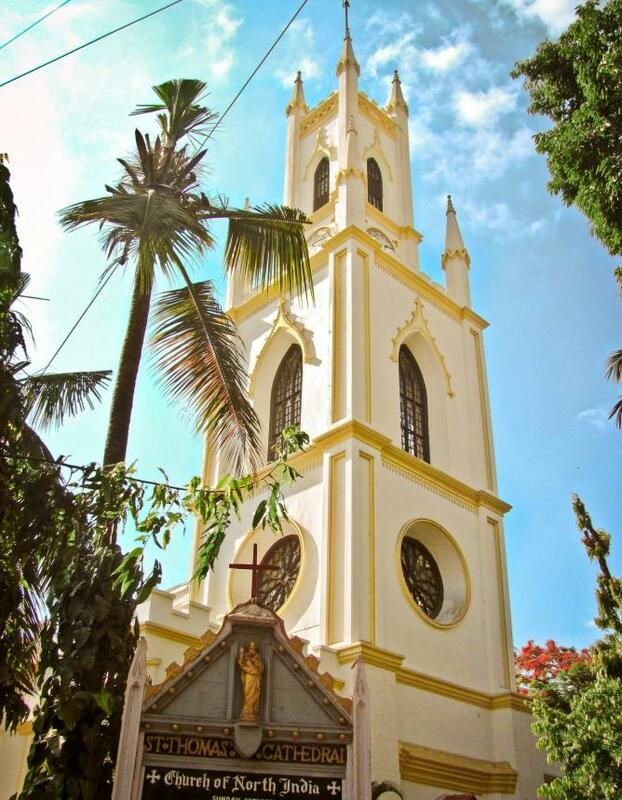 St. Thomas Cathedral at Fort, Mumbai, gave ‘Churchgate’ its name and for 297 years has stood testament to the city’s colonial past. 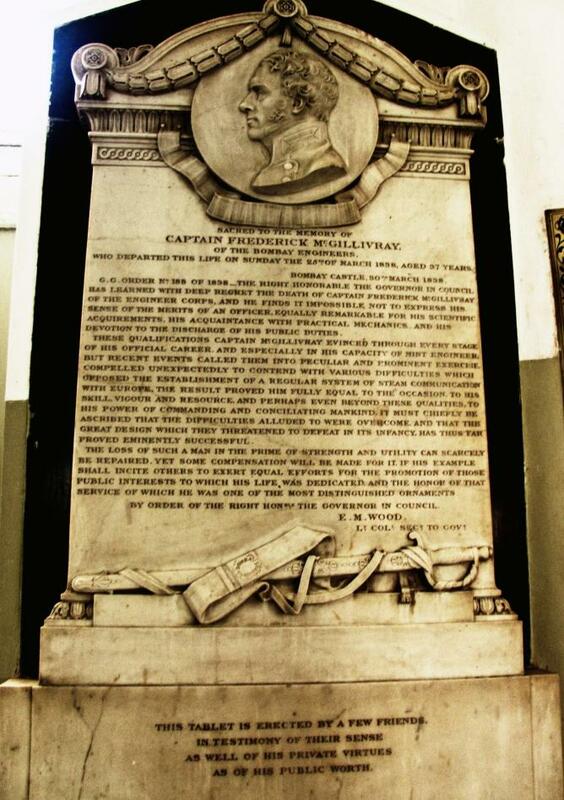 Epitaphs for soldiers who fought in long-ago wars can be seen, as well as stained glass windows designed by artists from Victorian England, and even a memorial for the first Bishop of Bombay – the very air here is thick with stories of yesteryear. 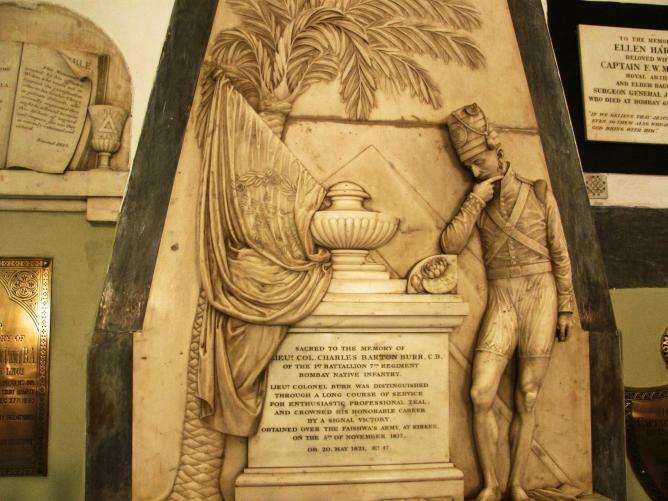 Mumbai’s colonial chapters can still be read in the buildings of what used to be the East India Company’s Bombay Fort. Though the battlements and bastions have vanished, the area is still called ‘Fort.’ It had three main gates. 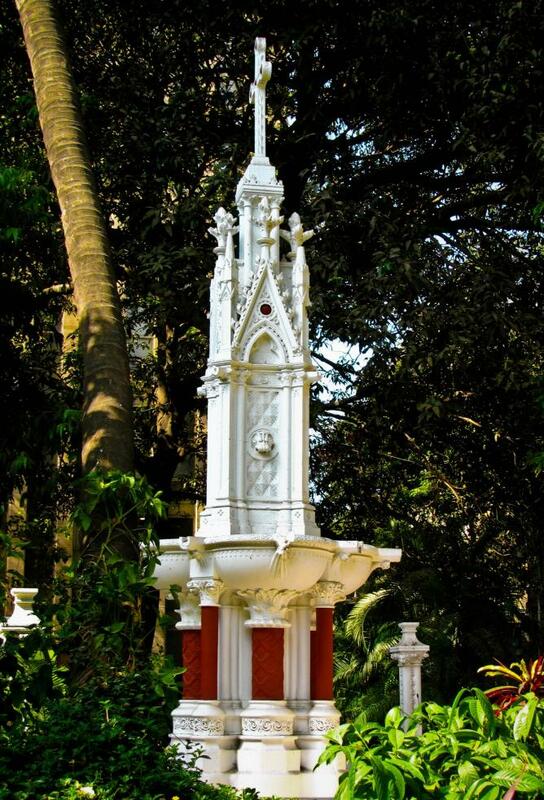 Millions of Mumbaikar feet have marched in and out of a railway station named after one of them: ‘Churchgate.’ The Church Gate was christened after Bombay’s first British church, St. Thomas Cathedral, a cheerful yellow and white building at Horniman Circle. Mumbai has a history which dates back centuries – a history which has seen it being known by different names, and belonging to different people. This history is not always found in the form of faded words and monochromatic photographs in a dusty book. It can be found in pockets of the city, sitting quietly and patiently amidst the hustle and bustle, still alive in glorious color, for those who care to notice it. It became a cathedral in 1837 and has been added to and altered over the years. This is reflected in the architecture, a mix of several styles. 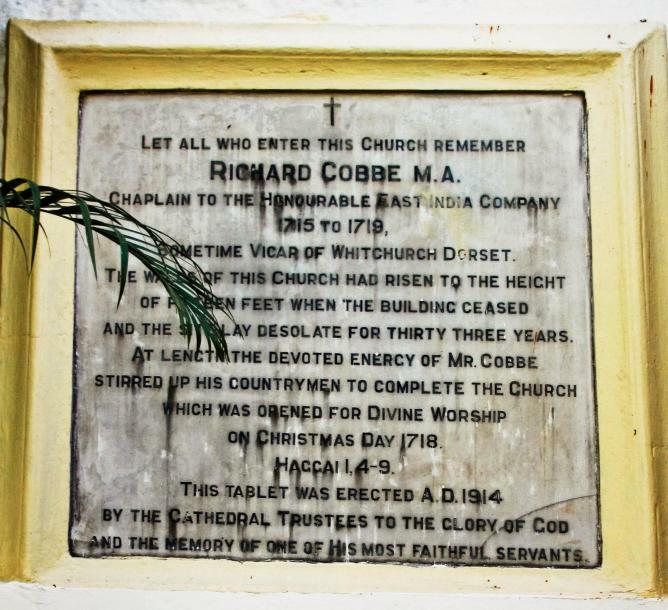 Nearly three centuries later, Mr. Cobbe still makes his presence felt. The building is mainly Gothic, and its entrance has an ornate fountain in the same style. 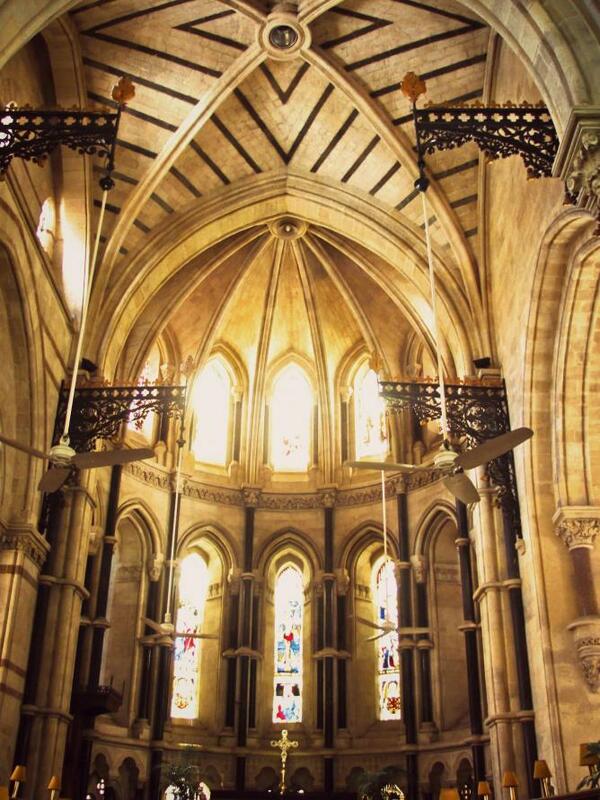 It was designed by Sir George Gilbert Scott, the architect of Bombay University’s Convocation Hall. The church is dedicated to St. Thomas, who was responsible for spreading Christianity to these parts of the world. 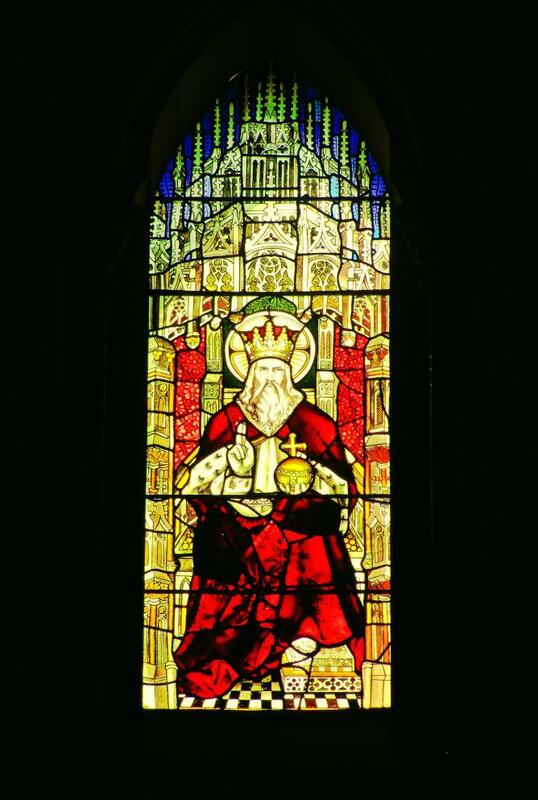 The stained glass windows showcase him with a Bible in one hand and a T-square in the other, reminding viewers that he was a builder by profession. 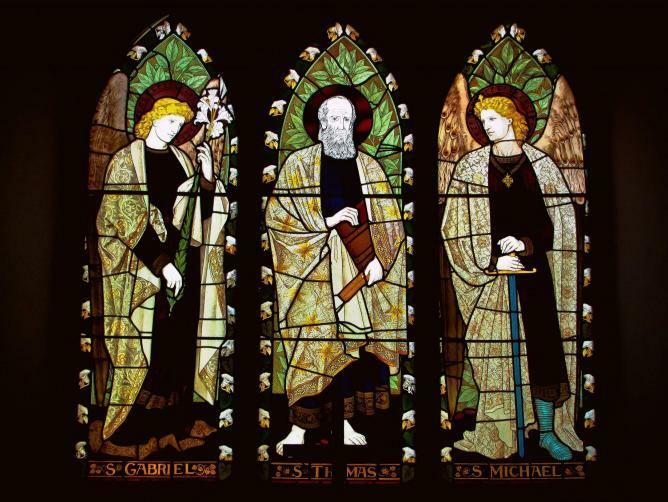 St. Thomas is flanked by archangels St. Gabriel holding a lily symbolizing purity and St. Michael holding a double edged sword, symbolizing truth and justice. 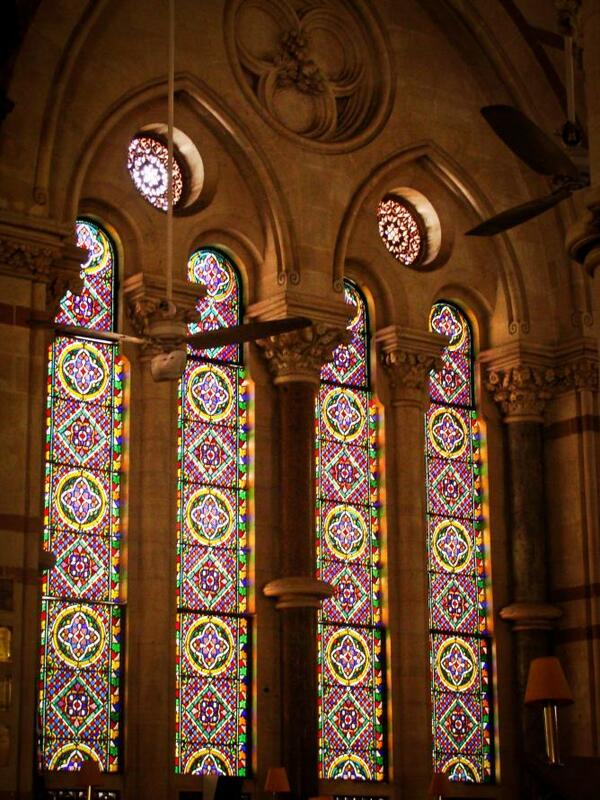 The altar windows were designed in the 1800s by Victorian stained glass designer and manufacturer, Charles E. Kempe. Wikipedia has a page dedicated to this gentleman’s touching story. Mr. Kempe had hoped to become a priest but was prevented by his stammer. 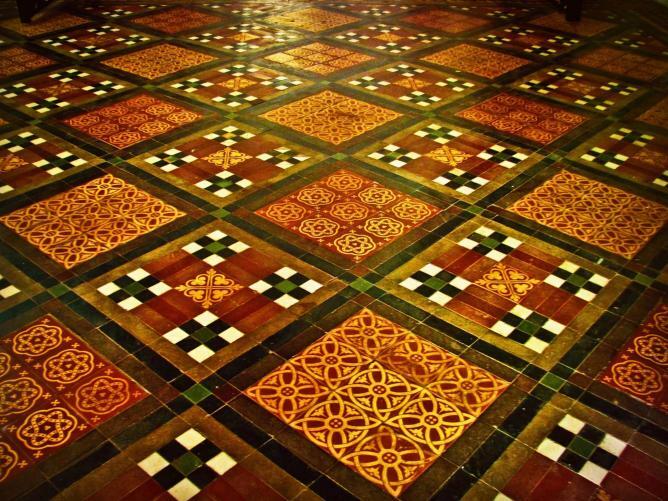 However, he said, “If I was not permitted to minister in the Sanctuary, I would use my talents to adorn it.” And adorn it he did! 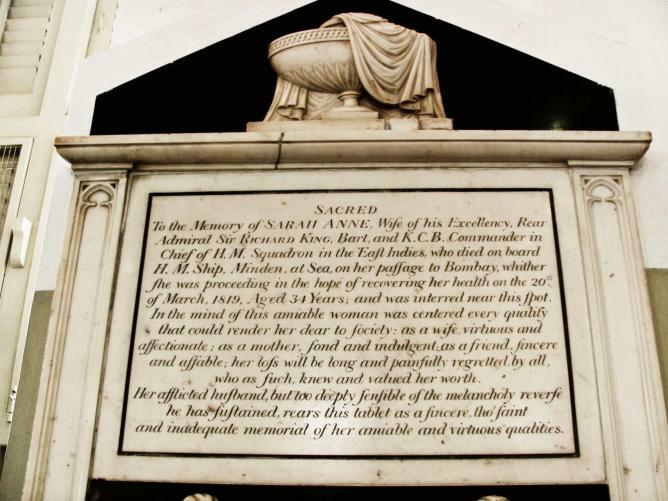 To the right of the altar lies a memorial to Bombay’s first bishop. 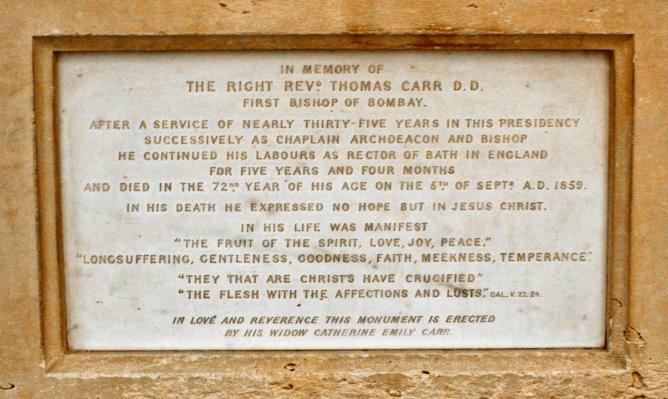 Past the sleeping Reverend Carr, there is a golden plaque in memory of Mr. Faulkner who was the organist at St. Thomas from 1900 to 1926. 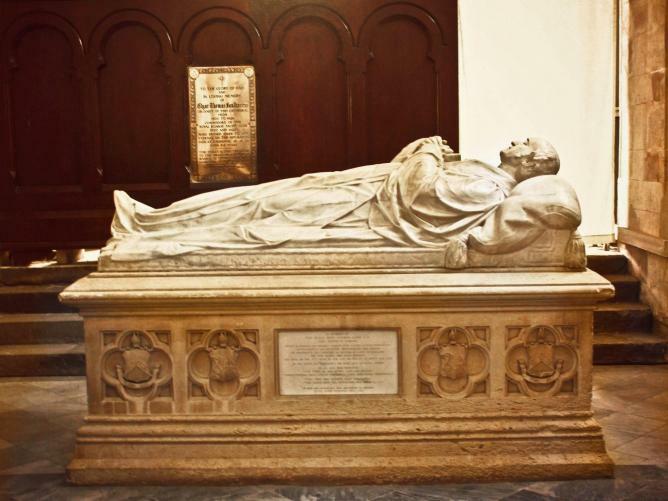 The church also has old ties with the famous Cathedral and John Connon School, which set up a Choir School in 1875 to provide choristers to St. Thomas. 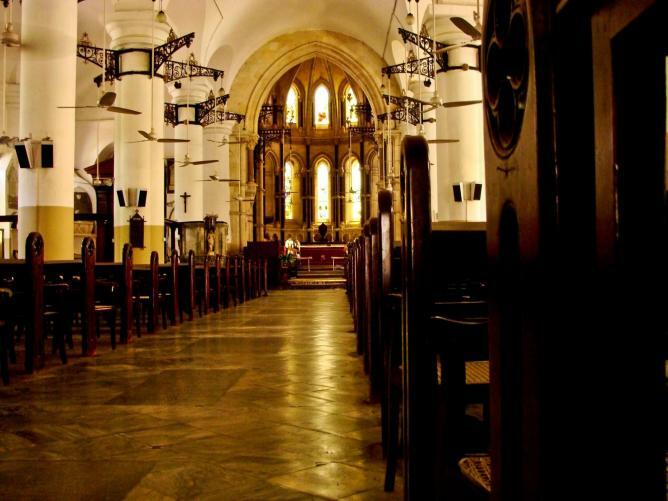 Though this Cathedral is a tranquil place, its walls are far from silent. 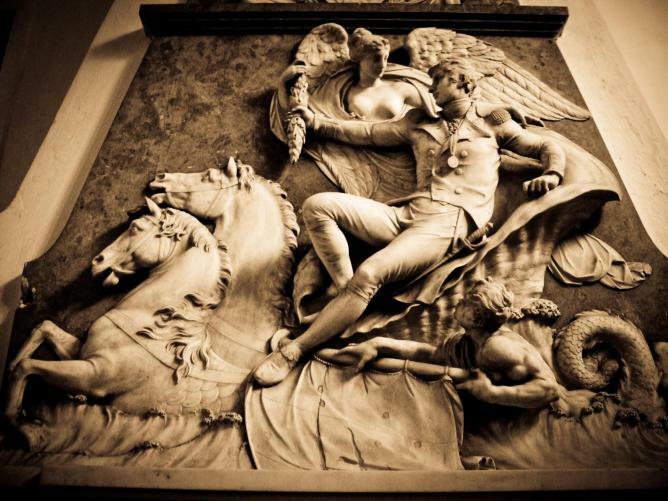 They tell tales of battles won and lost, of young and old, of dutiful soldiers and amiable wives – men and women who traveled so far and left a part of themselves in this city. 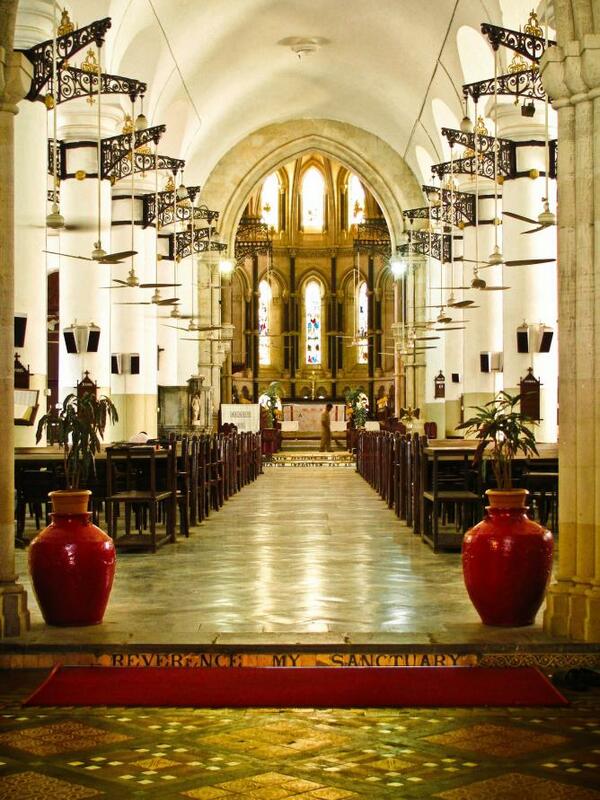 St. Thomas Cathedral underwent major restoration work and was selected for the UNESCO Asia-Pacific Heritage Conservation Award in 2004. Spend a morning here and encounter visions of a Bombay from long, long ago. Hours: Open seven days a week from 7:00 A.M. to 6:00 P.M.